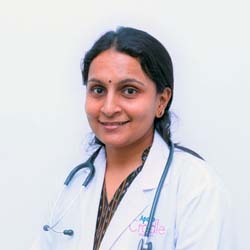 Dr. Sowmya C.C. is a Pediatrician Apollo Cradle Jayanagr 5th Block, Bangalore and has an experience of 10 years in this field. She completed MBBS, DNB – Paediatrics and I.G.I.C.H.